Are you determined to improve your English skills? Great! With a little focus and will power, there's no reason why you can't. Hey there! This is Viah. I'll be your guide and I can also be your friend. So what are you waiting for? Book in my class now and learn English in the most fun and exciting way. See you! 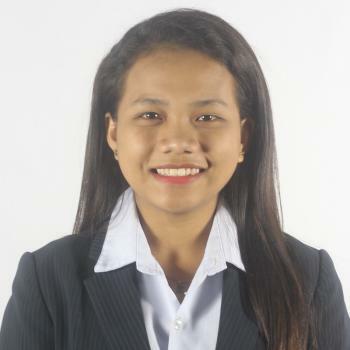 Teacher Viah studied Bachelor in Elementary Education major in Content Education. She likes reading books very much. She chose to become an ESL teacher because teaching students to reach their full potential has been her greatest dream and passion. She's very optimistic and enthusiastic. Moreover, she has hands willing to help and ears willing to listen. Teacher Viah is friendly! I could answer better than usual because she gave me a little time to me to answer, so I could try to answer some questions and l did . Now I am satisfied with today’s lesson. She became my favorite teacher. I’ll book your lesson again. See you then!